Does blockchain technology really possess the potential to transform international development sectors ranging from education to health to agriculture? Can it offer tangible value beyond digital currencies? This four-week online certificate course will attempt to cut through the hype and evaluate the potential of this technology on everything from remittances to supply chain management, voting practices, smart contracts, land titling, educational credentialing, health record storage, and more. Does blockchain technology really possess the potential to transform international development sectors ranging from education to health to agriculture? Can it offer tangible value beyond digital currencies? This four-week online certificate course will attempt to cut through the hype and evaluate the potential of this technology on everything from remittances to supply chain management, voting practices, smart contracts, land titling, educational credentialing, health record storage, and more. We will also consider policy and regulatory frameworks, validation models, security concerns, limitations of access/digital literacy, and the many other constraints facing this nascent movement. The course will feature 6-8 live events with interactive guest expert presentations who are leading blockchain practitioners, software developers, and data scientists. It will also include a unique hands-on learning environment with animated videos, technology demos, practical activities, networking events, immersive simulations and examples of early case studies from the Gates Foundation, World Food Programme, and UNICEF Innovation. For those completely new to the world of blockchain, we will provide content and resources around basic terms and debates so that you too can be conversant about the pitfalls and potentials of this new technology. Week 1: Introduction to Blockchain: The Decentralized Digital Ledger. Overview of key terms, frameworks, case studies and debates. Week 2: Platform and Technologies. Survey of the early technology leaders in blockchain and evaluate their relative strengths and weaknesses. Week 3: What Could Go Wrong? An exploration of all the pitfalls and tradeoffs associated with blockchain technology. Week 4: Where Do We Go From Here? The future of blockchain in international development. This course is delivered entirely online over a period of four weeks. Group discount rates available. For more details, please contact us at social [at] techchange.org. If you are not happy with your course experience for any reason, TechChange is happy to discuss refunds. 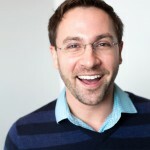 Nick Martin is an educator, technologist, and social entrepreneur with over ten years of expertise in international development and social innovation. He is the founder and CEO of TechChange and an adjunct faculty member at Georgetown and George Washington Universities. He has won numerous awards for his teaching and leadership and has been featured in the New York Times, Fast Company, The Economist and Forbes. International development professional with over 15 years of experience working at the intersection of finance, technology, and global development. Performed business development, marketing, account management, and solution design as Vice President at BanQu, a Blockchain-based identity platform. Held a variety of leadership roles in projects related to mobile banking, financial inclusion in emerging markets. Ric Shreves is a long time advocate of digital currencies and was a co-founder of Coin Academy, the first online education site focused on digital currencies and blockchain technology. He’s been speaker on blockchain tech at a number of conferences, including Inside Bitcoin, ICT4D, and others. He presently works for Mercy Corps where he manages the agency’s internal communications and knowledge management and has been tasked with thought leadership on blockchain tech. In the latter role, he authored a white paper on distributed ledger technology for Mercy Corps in May of this year, entitled “A Revolution in Trust: Distributed Ledger Technology in Relief and Development." Dr. Craig Jolley is a Senior Data Scientist in the Center for Digital Development at the U.S. Agency for International Development. Ben Siegel is the Global Social Impact Project and Partnerships Lead at ConsenSys where he ideated, built, and activated the Blockchain for Social Impact Coalition. Marina Petrović is an Alternative Finance Expert at the United Nations Development Programme, Istanbul Regional Hub (UNDP IRH). The Alternative Finance Lab is an internal startup that operates as a mechanism for exploring and tapping into new financial technologies and mechanisms to access investment for achieving Sustainable Development Goals (SDGs). Marina is also the Co- founder of the Crowdfunding Academy at UNDP IRH, a non-formal educational program on developing crowdfunding campaigns. Prior to that she was the Vice President of the Green Energy Cooperative (ZEZ) in Croatia. Marcos Allende López is a researcher and consultant in the IT TechLab for new technologies at the Inter-American Development Bank. Marcos advises IADB in projects with Colombia, Mexico, Costa Rica, Bahamas, and Jamaica among others. Franz von Weizsaecker is Head of Blockchain Lab at GIZ where he aligns cryptoeconomics with social good and Sustainable Development Goals. Nikki is an experienced international development professional working at the intersection of technology, innovation, and design. She has experience in the government/donor, social enterprise, and non-profit/NGO sectors with significant field experience across Latin America, Africa, and Asia. Emrys is a strategy specialist in communications and mobile technology with substantial experience in research, policy and practice. He applies his expertise in behaviour change and strategic communications to development and public policy issues, with a particular interest in challenges of conflict and fragility. Emrys has advised national governments, international and multilateral organisations and NGOs on the use of media, communications and public engagement to address governance, conflict, and public policy issues in the health, education, justice and legal sectors.